Here's everything you need to know to use VanGo. 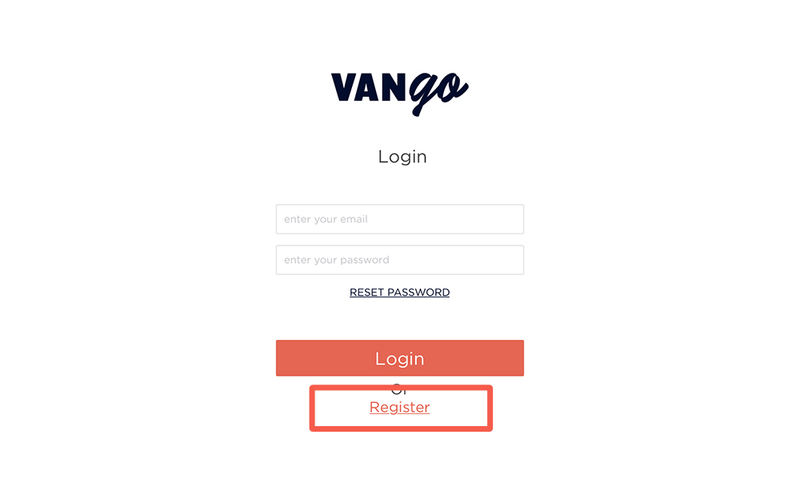 We decided to write a comprehensive how-to guide that walks you through ALL of the steps of signing up and using VanGo. To download the app, you'll need to enter your phone number on VanGo's website. Once you do, you'll be messaged a link to download the app. 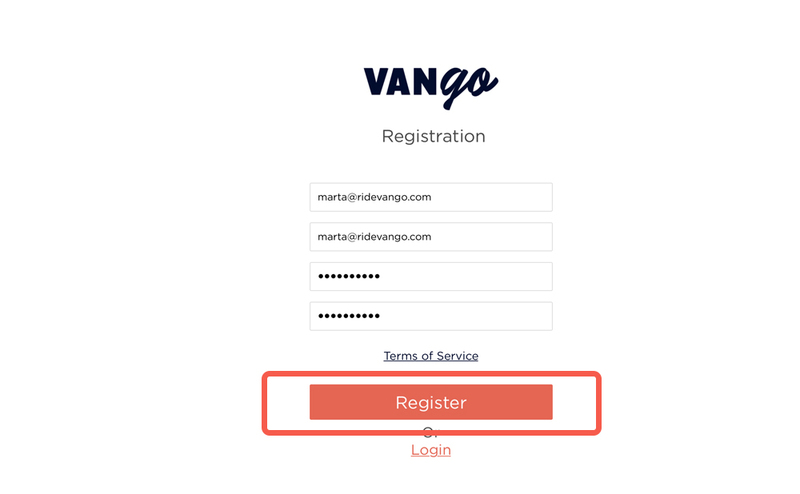 Right when you download and open the VanGo app, you'll see our log-in screen. Since you're a first-time user, you'll need to click the "Register" link at the bottom. Then, fill in all of your information, like so! When you first open up your app, you'll find yourself on the "Schedule" tab. Before trying to adds rides, we'll need to fill in your profile information first. So let's do that! Click on over to "Settings" (far right on the bottom navigation) and you'll see a page ready for you to fill out. Once everything is filled in, you can press the "Add info" button to continue. And this is how everything looks! 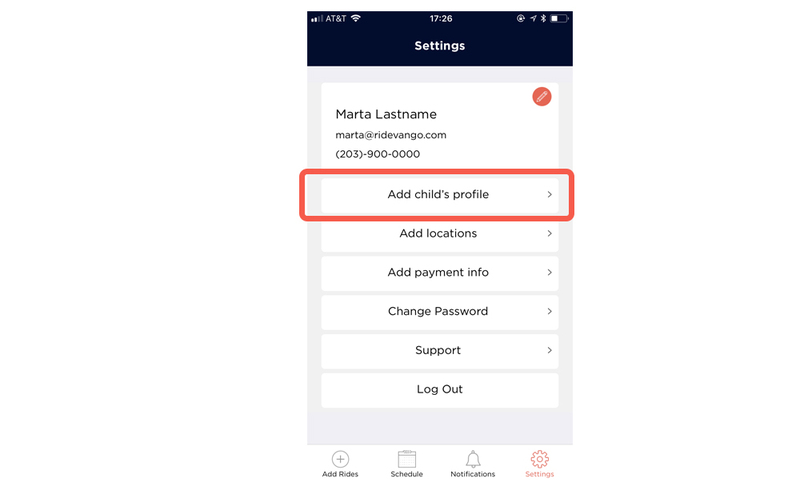 Let's move onto the next step - adding your teen's profile. 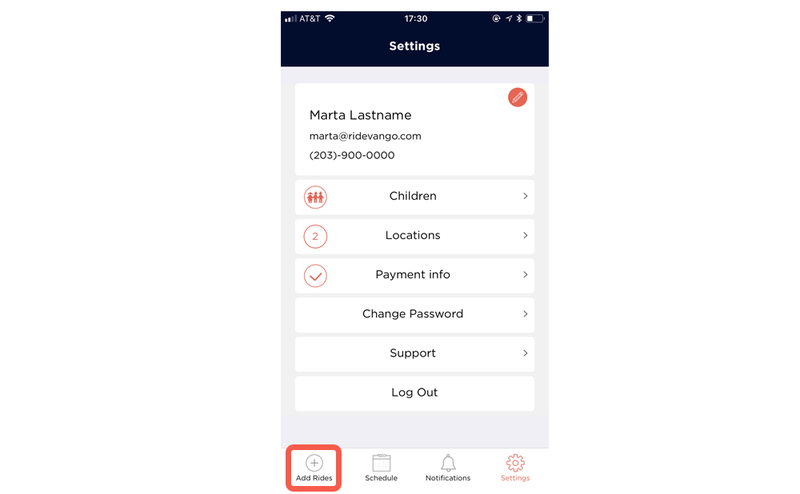 Once you have everything filled in and press the "Save" button, we're back on the main screen. Adding in locations is next! To begin (and get a price quote) you'll need to enter at least two locations. Here, we've entered "Home" as our first location, and press the "Save" button. 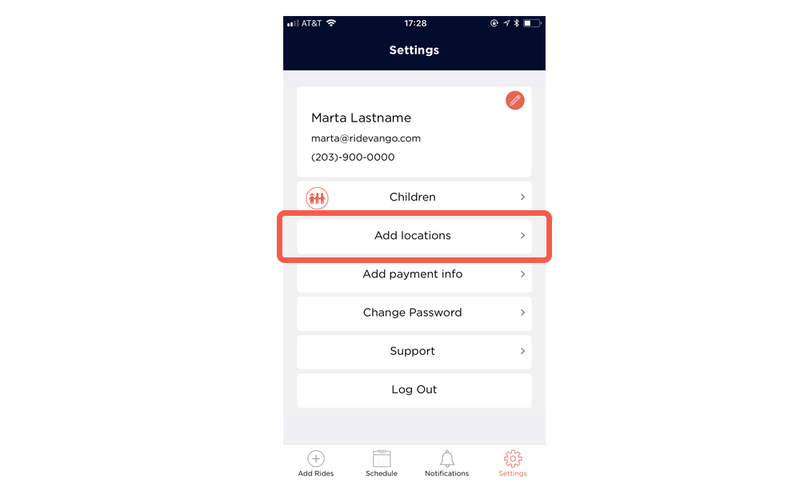 And click "Locations" again to add our second location. There's an "Add New" button in the upper right-hand corner, which we'll click to add our second location. We will fill in the info about our second location - and there we go! We have our two locations all set up, and can move onto payment. As noted, we only charge your card once your ride has been completed. Once you have your credit card information entered, press the "Save" button. And... we're ready to rumble! All of our steps are completed, and now we're ready to book our first ride. 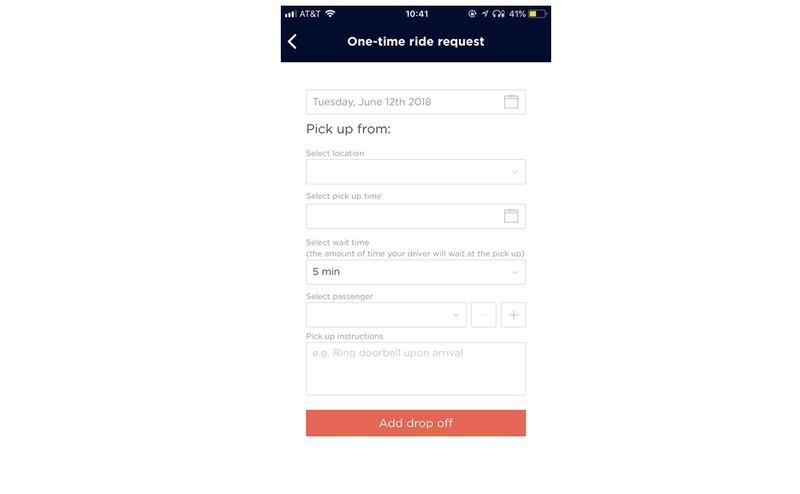 To book our first ride, let's head over to the "Add Rides" section in the bottom navigation, on the left-hand side. Once we're here, we can select what kind of ride we're looking for. Right now, you can only select a Single Ride - but Recurring Rides are coming soon. Now time for the drop off! Once we've selected the drop-off location, passenger, and any drop-off instructions, we're ready to see our trip summary and get a price estimate. 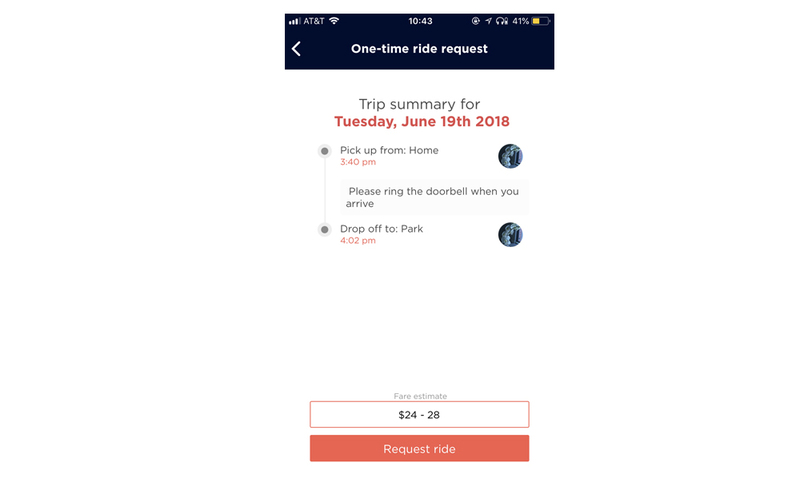 Here we have the trip summarized - pick-up location, drop-off location, and fare estimate at the bottom. Does everything look good? Press "Request Ride" to get this request going. Success! Our ride request went through, and now we just need to wait for a driver to accept it. Once a driver accepts the ride, we'll be notified immediately. When you press "OK", you're taken to the schedule. 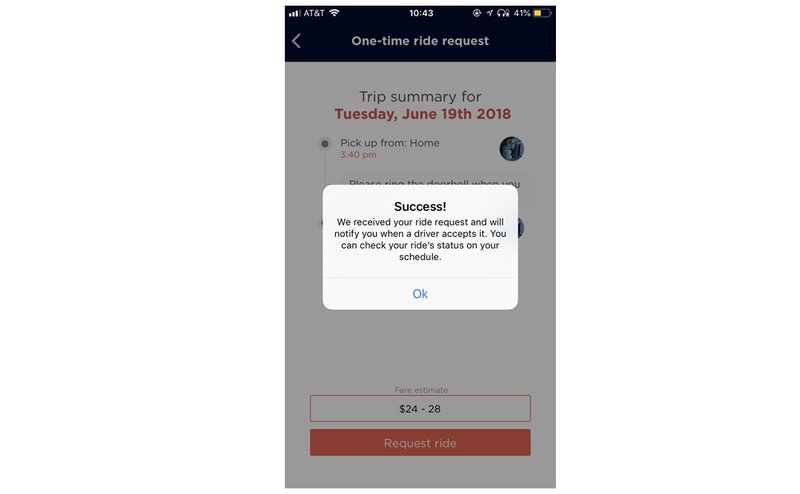 Click on the date of your ride, and you'll see it listed out as "Pending." 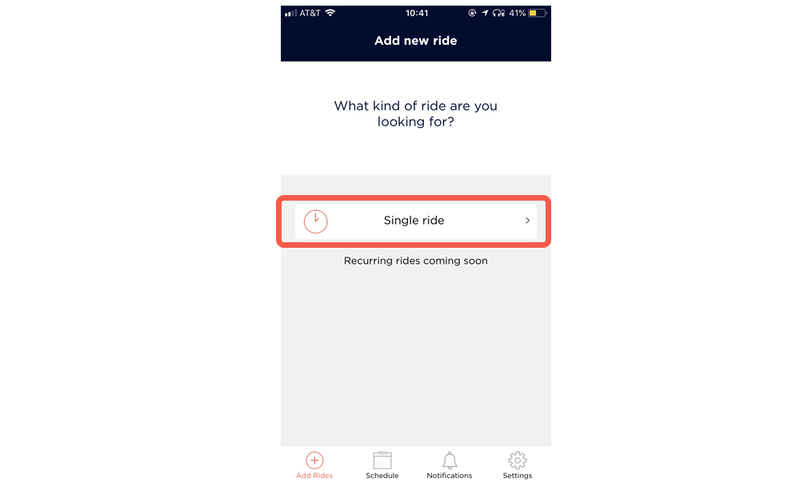 You can also click into the ride to review your ride details and instructions. Now, let's wait until someone accepts our ride! As soon as your ride has been accepted, you'll receive a push notification on your phone that your ride has been accepted. In case you miss it, you can view it under your "Notifications" tab as well. Great! Let's find out who our driver is. You can click on the notification "Ride was Accepted", or head over to the Schedule tab, and click on the ride itself. Once inside, we can see more details at a glance about our driver, and our ride. 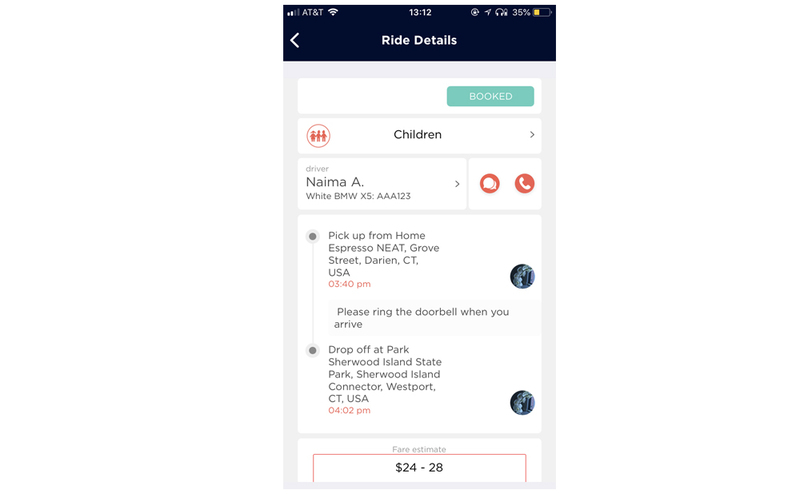 Here we have the ride details listed out, and can see information about our driver: Naima, who drives a white BMW X5, with license plate AAA123. We can also click on Naima's name to learn more about her. 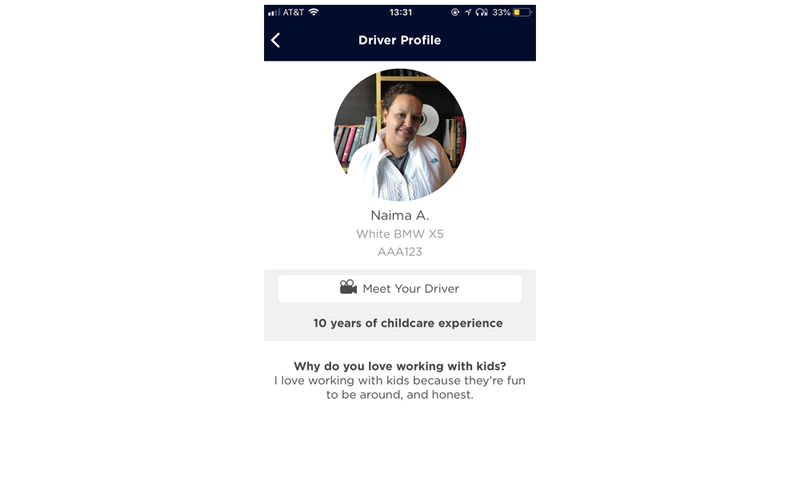 Here we see Naima's picture, a quick video, and more information about Naima's childcare experience and love of working with kids. 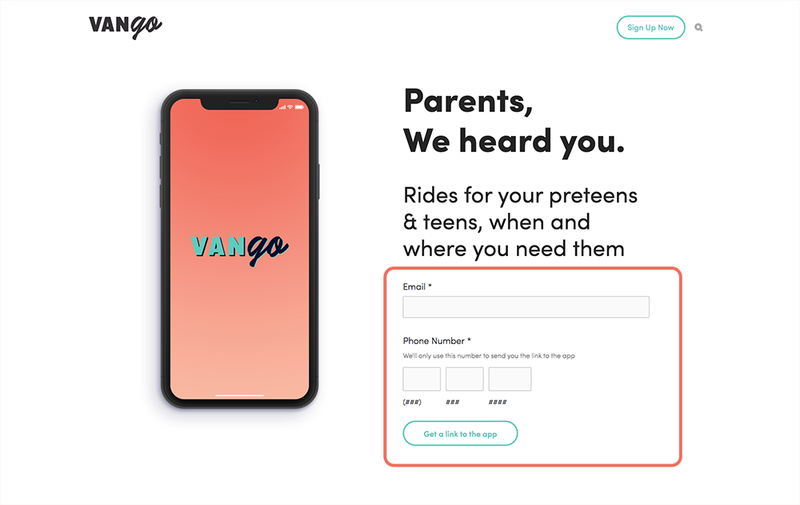 Prior to the ride, you can pass along Naima's picture, and vehicle information to your teen to make sure they recognize Naima when she arrives! Now, let's move onto the final chapter - tracking your ride. Full-length guide coming soon. Check back tomorrow!